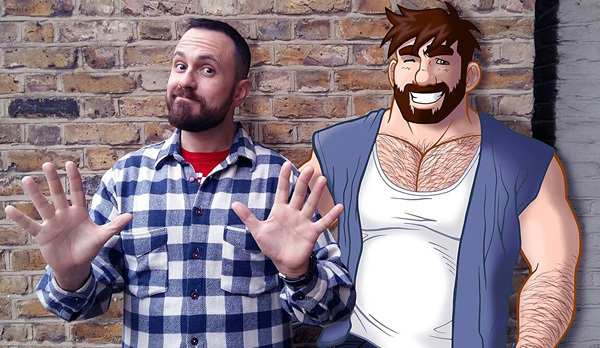 It’s getting close to that time when we launch our brand new logo for next year, and we are very happy to announce that the Brighton Bear Weekend 2018 logo will be designed by the illustrator Bobo-bear! His amazing bear-themed t-shirts were a huge hit this year, helped along by his in-store appearance at Prowler Brighton during Brighton Bear Weekend in June, and his t-shirt stall at Brighton Pride in August. We hope to reveal his spanking new logo design during the A Very Beary Christmas weekend in December (see sidebar for details) – check back here soon for details of the time and place! In the meantime, you can read our interview with Bobo-bear from earlier this year, and check out this Gscene article about him designing our logo. Night of the Living Zombears is less than a week away! Our annual Halloween night will take place at Subline on Saturday 28 October from 9:00pm to 4:00am. 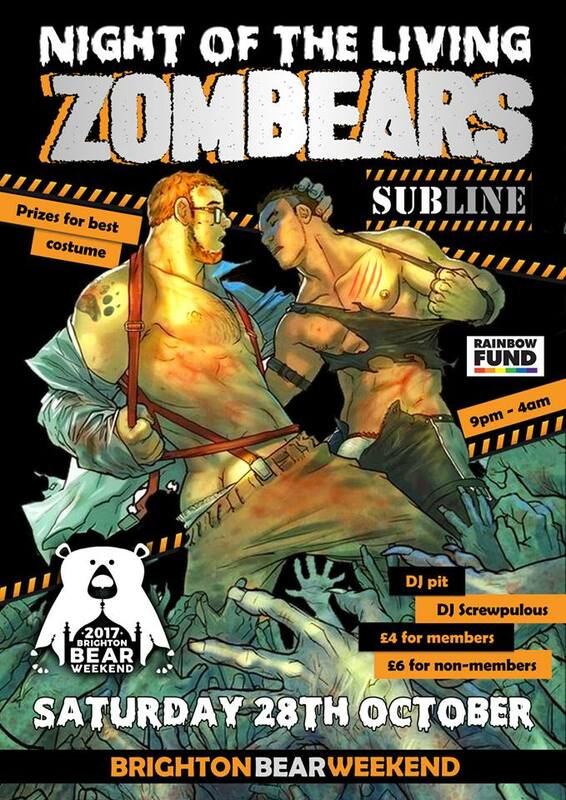 Entry is £4 for Subline members and £6 for non-members, with all money raised (from the dead) going to the Rainbow Fund. Check out the Facebook event page. See you there! 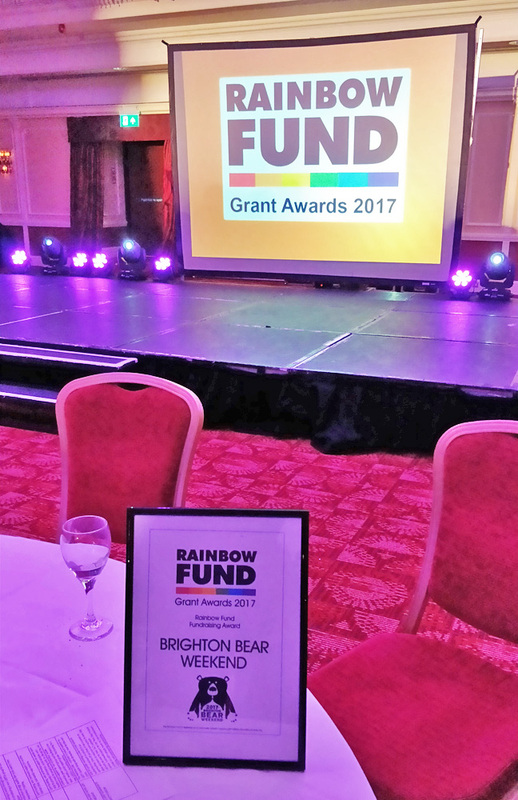 We are very proud to announce that Brighton Bear Weekend received a special award for our 2017 fundraising total of £11,855 at the Rainbow Fund Grant Awards this week! 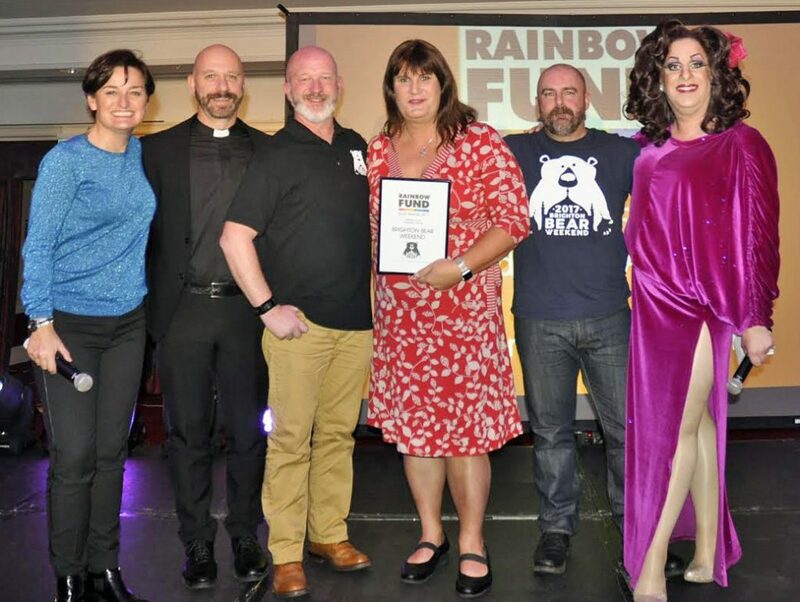 At the ceremony, which took place on the evening of Monday 16 October at the Hilton Brighton Metropole in the presence of the Mayor and other local figures, a total of 14 grants were awarded by the Rainbow Fund to local LGBT/HIV community groups. The award was presented by comedian Zoe Lyons (below, left), together with Sophie Cook (holding the award) and the evening’s hostess, Lola Lasagne (right). 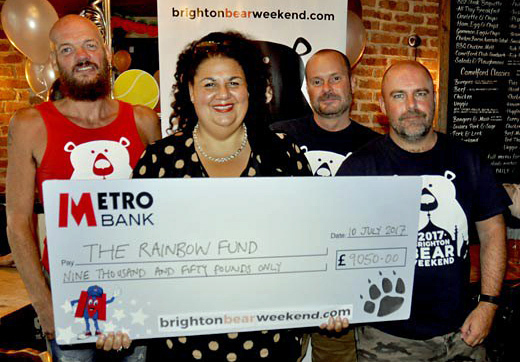 Thanks once again to everyone who has supported us in whatever way – venue owners and staff, donors of time and resources, crew and volunteers, and of course all you wonderful bears who continue to support us year on year! We have just announced our fundraising total for this year: a staggering £11,855 for local charities! This beats last year’s total by over £4,000, which is beyond our wildest dreams. We presented a cheque for £9,050 to the Rainbow Fund at the Camelford Arms on Monday 10 July (see picture below). 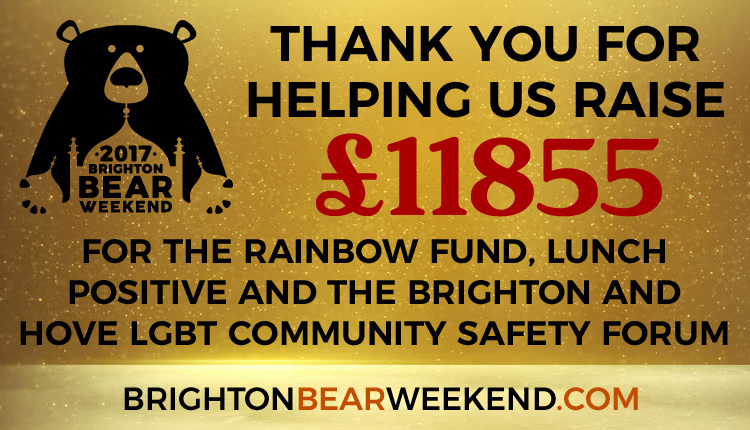 In addition, the following amounts were raised at our Bear-B-Que on Saturday 17 June: £1,247 for Lunch Positive, and £1,558 for the Brighton and Hove LGBT Community Safety Forum. Once again, thank you so much to everyone who helped us raise this magnificent amount: the fantastic owners and staff of the venues and shops, our tireless volunteers, the generous sponsors and raffle prize donors, the amazing local media, the fabulously talented performers and artists, and most of all the wonderful bears who travelled from all over the UK and the world to spend a brilliant weekend with us. You know who you all are … and we hope to see you all again next year!